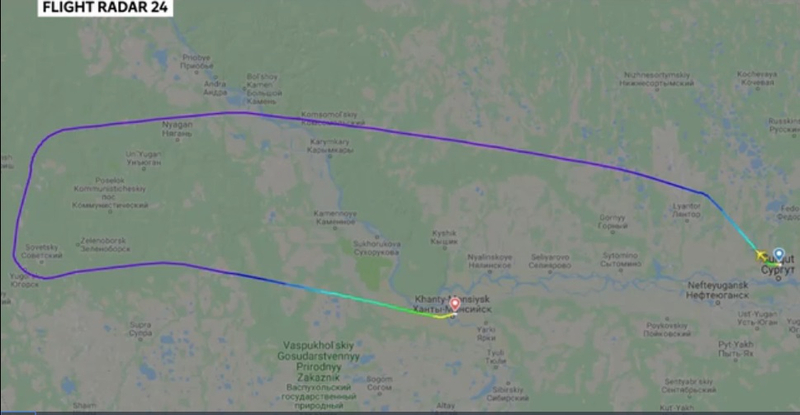 MOSCOW: Russian authorities say that a plane bound for Moscow has been forced to land shortly after take-off after a drunk passenger demanded the plane to change course. Russian media initial reported the incident to be a suspected "hijacking". The National Anti-Terrorism Committee said on Tuesday that an unnamed man on the flight, bound from the Siberian city of Surgut to Moscow, had ordered the crew to divert the plane to Afghanistan. The passenger allegedly claimed he was armed. Authorities later reported that the passenger was detained shortly after the plane made an unplanned landing in Khanty-Mansiysk, Russian investigators said on Tuesday. The passenger tried to break into the cockpit during the flight and demanded the plane change course, they said in a statement. He was drunk, it added.